What is Classic Craftsman Style? 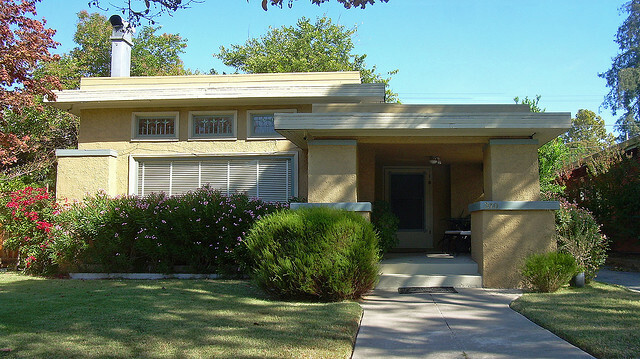 Original Craftsman style homes (also called Arts & Crafts homes), began appearing at the beginning of the 1900s, and remained a popular new building option until the arrival of the somewhat similar Ranch Style homes in the 50s and 60s. There are similarities between the two, such as a low-pitched gabled roof, with a wide overhang, and both styles usually have a porch either just over the front door, or one that sweeps across the whole front of the house. However, the Craftsman style will often have it's roof rafters exposed, and the columns from porches are likely to be a tapered style, rather than wide. 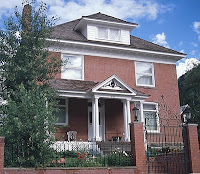 One of the reasons the Craftsman house style became so popular, was that people craved something more simple and classic, to the fancy styling of Victorian houses. This is evidenced by the use of natural materials, even into the interior of a Craftsman home. More often than not, this style of house will be of a timber construction, although original Craftsmans are usually brick. However, Craftsman houses are also unusual in that there are several types of them, within the Craftsman genre, that make them more unique, with features that may not fit the classic ideal. 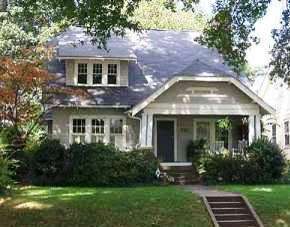 Craftsman homes can be: Bungalow, Prairie, American Foursquare, or English Revival. 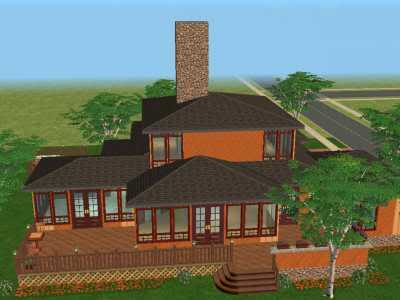 There has also been a resurgence of new build homes in the Craftsman style. The sections that follow include exterior pictures of craftsman style homes, to illustrate the many different style types. 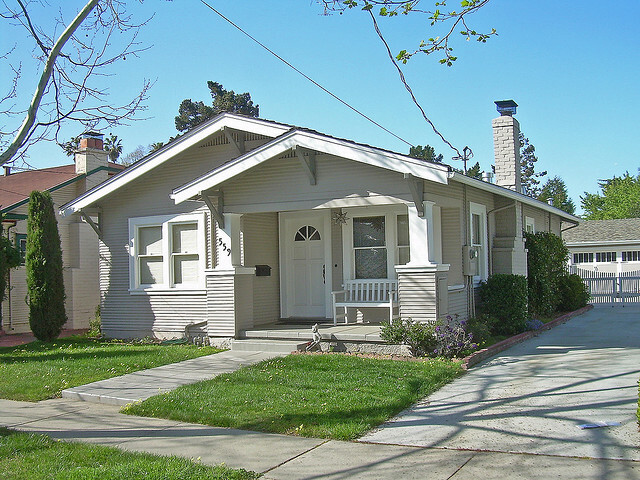 When you think about a typical Craftsman style home, the bungalow style is the one that are likely to think of first. They typify the style so well because the overriding theme in the design of Craftsman architecture, is that of classic simplicity. Brick is a prominent building feature even when timber is extensively used; the emphasis is always on natural materials. The classic porch is of course a standard feature on any Craftsman home. The Prairie style home is a type of Craftsman, but has very distinctive features that make it stand out from a traditional bungalow. A Prairie house very often has a series of flat roofs at different levels, as opposed to the usual low-pitched one. If angled low pitched roofs are used, they are still used at different levels. But as this exterior picture shows, the Craftsman style is still in evidence with the overhanging eaves, and of course the porch. 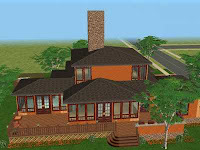 Prairie style focuses more on horizontal lines, and are very often found more "sunk" into the ground, to integrate with the environment around them. 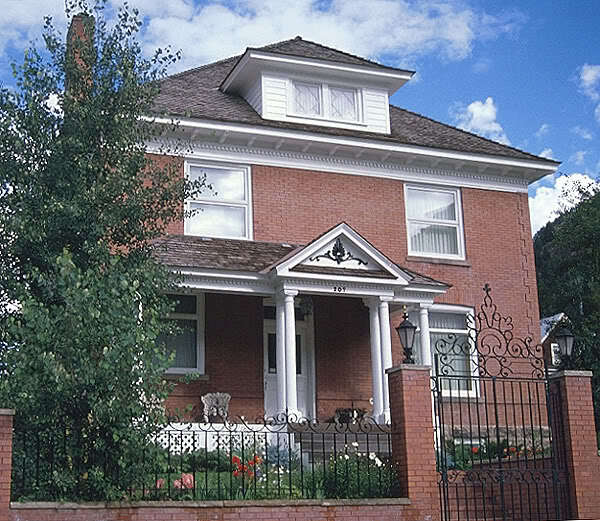 A giant in the world of architecture for houses, the American Foursquare retains many classic Craftsman style traits, but on a 2 storey scale. 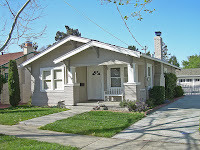 The low pitched roof and porch are in evidence, as is the classic brick appearance of the original Craftsman era, but as the name suggests it is very much of square dimensions, rather than long and low. Although this is a larger house than others we've examined, the styling is still very simple and classic, with clean lines, and little detail. Many consider the Arts & Crafts houses to be a separate style in their own right, although they are of the Craftsman family. Upon seeing an exterior picture of this Craftsman style home, you can see why you may dismiss it as not being a Craftsman abode. It is much more detailed, architecturally, than any other type of house we've looked at, whilst still retaining Craftsman style characteristics. At 3 stories, it certainly isn't long and low, although there is a low-pitched roof over the first house storey, and of course the porch with narrow columns supporting it, as well as its timber construction all point to it being of the Craftsman style. As if evidence were needed about how appealing Craftsman style homes are, there has been a resurgence of new build projects, both in the US and overseas, that embrace the Craftsman style. Timber is highly popular as a material for new home building, so it makes sense to take it further and add Craftsman features. The contrast between painted and unpainted wood is a new trend in Craftsman building. The plan picture here also shows the classic styling of a Craftsman house, including the low pitched roof, and exposed gables. The Craftsman style homes exterior pictures that we have examined, all go to prove that, although the Craftsman movement started at the beginning of the last century, the style is as appealing now as it was a hundred years ago.